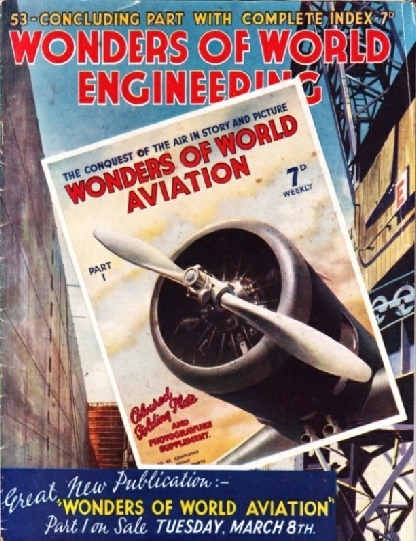 Part 53 of Wonders of World Engineering was published on Tuesday 1st March 1938, price 7d. Part 53 was the final part to this series, therefore it did not contain either a colour plate or photogravure supplement. 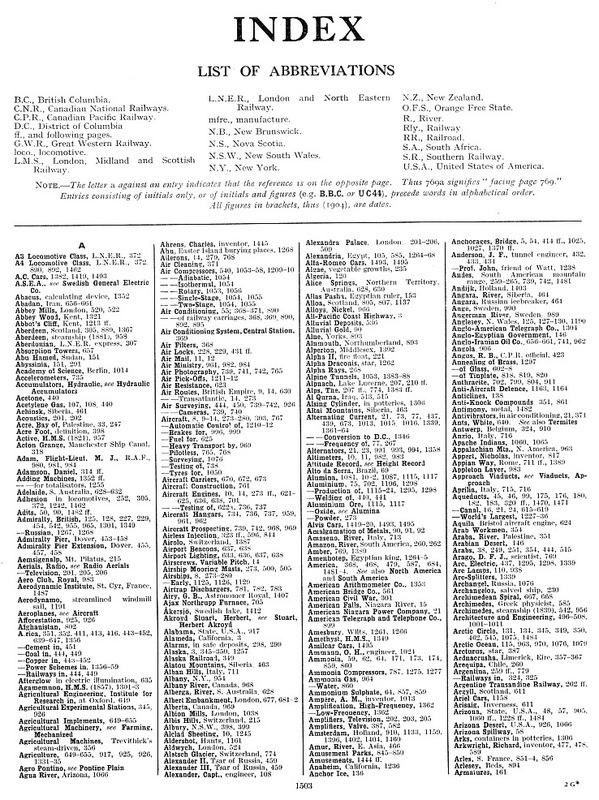 The majority of this issue was devoted to the index for the entire series. The cover is a combination of the cover to Part 32, with the cover of Part 1 of the new part work Wonders of World Aviation superimposed. The world’s record for speed on land was for many years held by Sir Malcolm Campbell. In November 1937 George Eyston, in his powerful and heavy car Thunderbolt, achieved a new record, with a speed of 312.20 miles an hour over the measured kilometre. This chapter is by L H Thomas. You can read more on Sir Malcolm Campbell’s world speed record in parts 6 - 7. Unremitting research and far-seeing enterprise have produced the motor car of to-day. This chapter is by L H Thomas and is concluded from part 52. This is the sixth article in the series on the Story of the Motor Car. 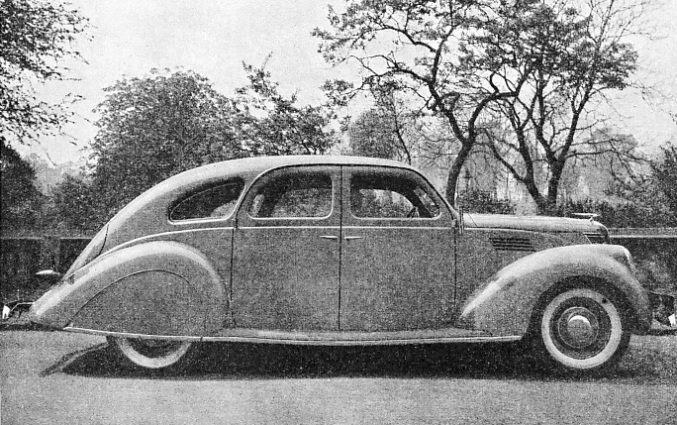 A STREAMLINED SALOON. This Lincoln-Zephyr is an excellent example of modern American practice. The twelve-cylinder engine, of 4,378 cubic centimetres, is rated at 36.3 horse-power. As with most American cars, there are three speeds. A larger Lincoln saloon, rated at 46.8 horse-power, is marketed also. For twelve miles across the storm-swept Great Salt Lake in Utah the world’s longest trestle bridge was built by railway engineers to shorten by forty-three miles the route of the Central Pacific Railway. This final chapter is by Harold Shepstone. It is the eighth article in the series Railway Engineers at Work. 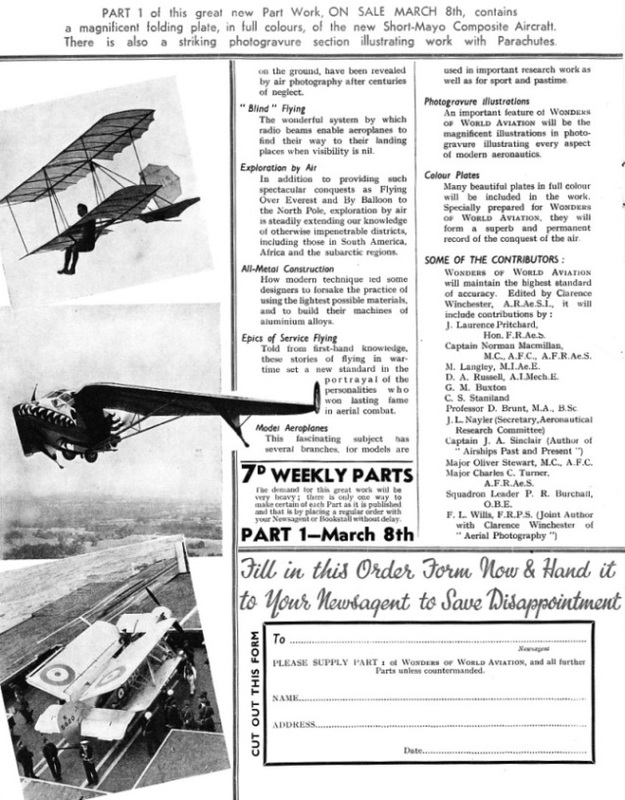 The index included a four-page insert advertising the new part work published by the Amalgamated Press from Tuesday March 8th 1938. Three pages from this insert are reproduced below. 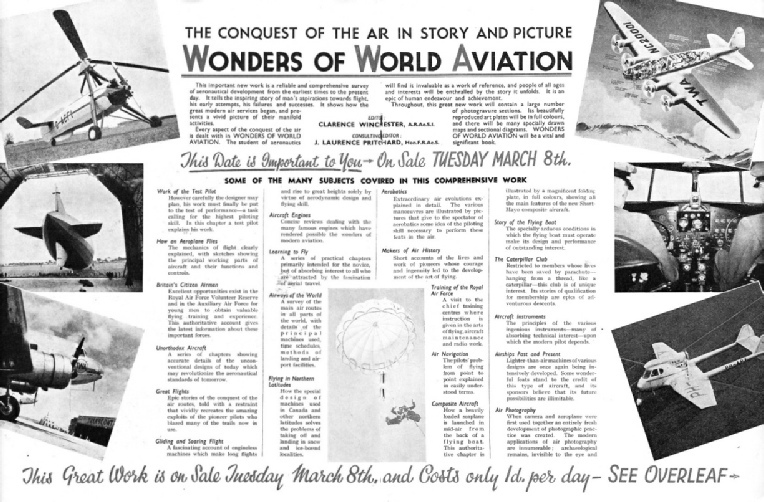 Interested readers wanting to learn more about this series should visit the Wonders of World Aviation website to find out more. The index is planned to cover the whole work as comprehensively as possible, and thus to cater for the needs both of the average reader who wishes to refresh his memory on some point and also of those who are using Wonders of World Engineering for reference purposes. Only the first page of the index is reproduced below since the search option (at the top of each webpage) and contents page enables items of interest to be located more easily. 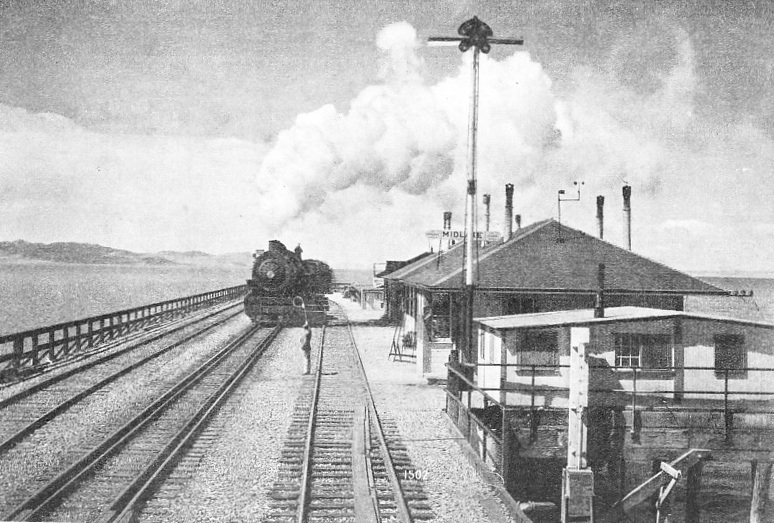 MIDLAKE STATION is equidistant from the shores of the western arm of the Great Salt Lake. The trestle section of the bridge required the timber of 38,256 trees, representing two square miles of forest. The work took two and a half years and cost £1,600,000. 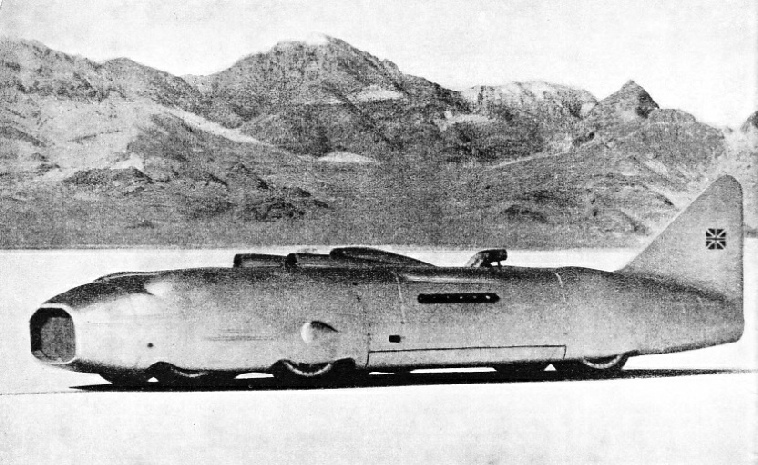 A SPEED OF MORE THAN FIVE MILES A MINUTE was achieved by George Eyston, in Thunderbolt, over the flying kilometre on the salt lake at Salduro, Utah. The car weighed more than 7 tons. The front track was 5 ft 4 in, the mean rear track 5 ft 7 in and the overall length 30 ft 5 in. At 312 miles an hour the tyres were revolving 2,580 times a minute. 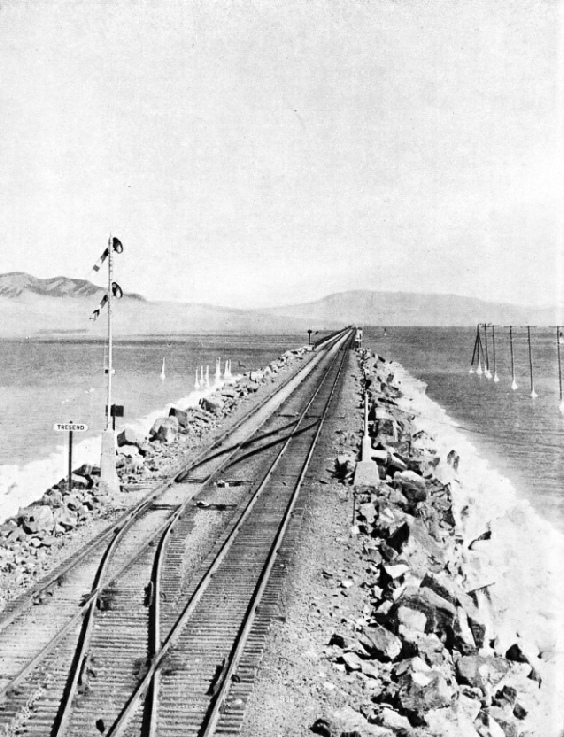 EMBANKMENTS were built four miles out into the western arm of the Great Salt Lake from either shore to carry the Central pacific railway (now part of the Southern Pacific system). The rest of the crossing is made on trestles. The line is nearly level; the steepest gradient is 1 in 240.